As you would expect, subtraction is a key concept in the primary maths curriculum. Children start to learn about subtraction in their first year of primary school and it is something they continue to build upon all the way through to Year 6 (Primary 7). Here we have put together some easy activities that you can try at home to build your child’s skills and confidence at subtracting. 8 – 5 = ? Start from finger 8. Count back 5 fingers. See where we land: on finger 3. Real life is full of opportunities for children to subtract, e.g. lending some toys to a friend and calculating how many toys will be left, or spending some money and working out how much money they should still have. Problems like this – about real things that children can see and touch – bring subtraction to life. Teachers often ask children to solve life-like problems because it’s not numbers and signs on a page that children most need to deal with in life, but real events. The more we encourage our children to tackle such questions at home, the easier they’ll find them both at home and at school. There are lots of songs that you can sing with your child to help them to count backwards. You could show them how to use their fingers, or toys, as props to help with the songs. Find the ‘Five Little Ducks’ song and picture cards here. Print out and cut out the five duck pictures. Keep them as they are, or stick them to cardboard, and help your child to use them as props as you sing together. With your child, make your own props to go with other subtraction songs such as ‘Five Little Monkeys Jumping on the Bed’, ‘There Were Ten in the Bed’, ‘Five Little Speckled Frogs’, or just enjoy singing these songs together. This can be confusing at first. For example, the word ‘more’ appears to be about adding something on, so phrases like ‘How many more … ?’ in questions such as ‘How many more does he have than you?’ can seem to call for an addition calculation. It takes lots of experience for children to remember that each time they hear these words they need to subtract. The more you use such words and phrases with your child, the easier they’ll find it when they come across them in school. Playing subtraction bingo is a fun way to support your child to build their confidence at subtracting. Learning basic subtraction facts by heart can help children answer subtraction questions quickly and easily. To play subtraction bingo download our free Subtraction at School booklet for instructions and printable bingo cards. Free booklet: Subtraction in school – all you need to know about how children learn about subtraction at school, plus lots of great ideas of fun ways you can use at home to build your child’s skills and confidence at subtracting. Maths expert Kate Robinson explains how you can use real life situations to help your child develop their subtraction skills. 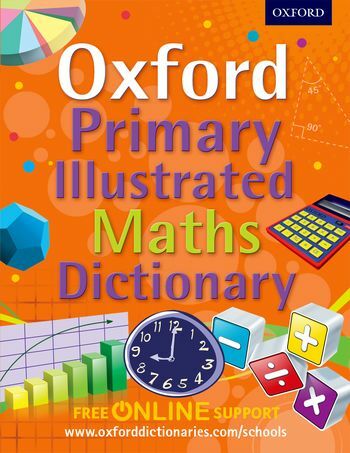 This new-look, new edition of the Oxford First Illustrated Maths Dictionary has been specially designed to be perfectly accessible to first readers. 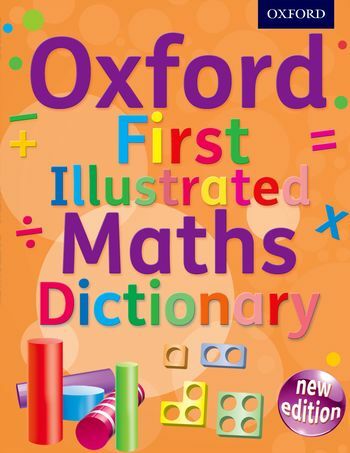 With colourful illustrations for every word, including some Numicon shapes and figures, this is a perfect introduction to the first maths words that children encounter in their early years at school.